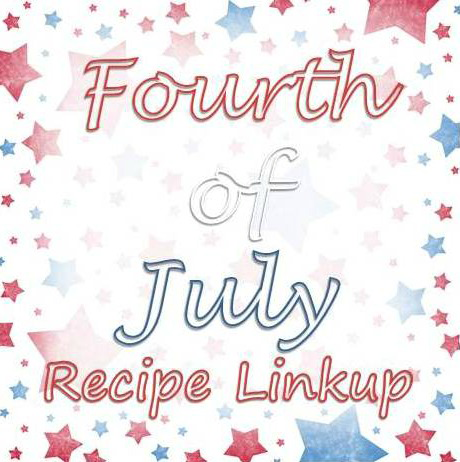 I'm so excited to be a part of a "Fourth of July Recipe Linkup" with some of my favorite bloggers today. And what says "Americana" more than APPLE PIE! I've actually been looking for an excuse to make this recipe for a while, so I was so thrilled to be asked to be a part of this. The draft post has been in my queue for ages, but I didn't have any of my own photographs to accompany it, so it's just been gathering hypothetical dust at the bottom of a pile of draft posts. I finally made it over the weekend and it was everything I remembered and more! My house smelled so amazing! I took it over to my in-laws for dinner on Sunday and got the official seal of approval from the entire family. Even Mac ate two pieces! Trust me, this one is a winner. Below is my recipe is called "Fourth of July Sour Cream Apple Pie" and it's really one of my favorite summer desserts. It's a bit different than a traditional apple pie, using a sour cream filling instead of an apple cinnamon glaze. It's refrigerated, so it's cold and creamy - perfect for hot summer days/nights. Drizzle a little caramel sauce on top (or accompany with some whip cream) and it's perfection! In a small bowl blend together the butter, the sugar, the cinnamon, and the flour until the mixture is combined well and chill the topping, covered, while making the filling. **I love this cinnamon topping, so I usually make more (or even double the recipe). 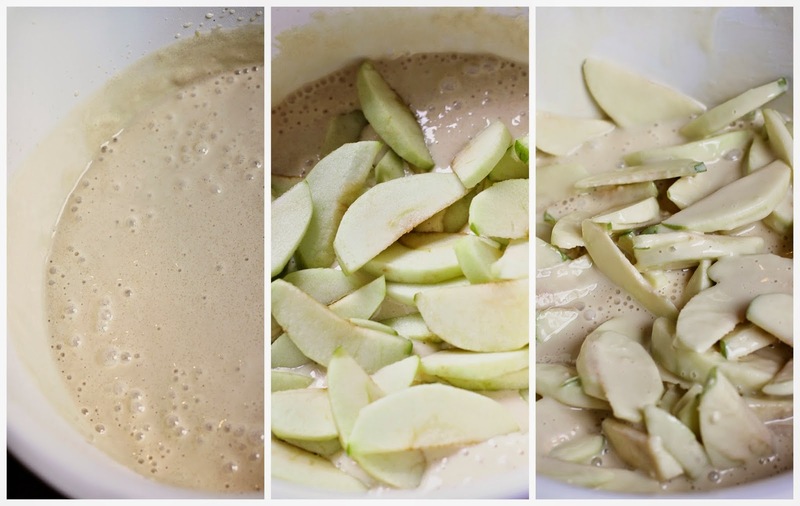 In a large bowl whisk together the sour cream, the sugar, the salt, the vanilla, the eggs, and the flour until the mixture is smooth, add the apples, peeled, cored, and sliced, and stir the filling until it is combined well. Spoon/pour the filling into pie crust and crumble the topping evenly over it. Bake the pie in the middle of a preheated 350°F oven for 1 to 1 1/4 hours, or until it is golden. Transfer it to a rack, and let it cool completely. Refrigerate until set and cold. So, here's how it works: Each one of us (listed above) is sharing a Fourth of July (summer) themed recipe and we are including a link up below for anybody who would like to join! Post your recipe on your blog and link up (below) by next Tuesday, July 1. You will be matched up to another blogger's recipe on Wednesday, July 2. Recreate the other blogger's recipe making it your own and share your results of the swap by the following Wednesday, July 9. Easy peasy! That means you get to share one of you favorite recipes and try a new (soon to be favorite) recipe over the next few weeks. Your family will thank you! I hope you'll join us! YUM! this looks delicious! I think I need to make one of these pronto! This looks delicious! I have never made an apple pie before but this looks really good! Yes please! My hubby loves apple pie, maybe I'll make this for him! Oh, that looks good! It doesn't seem too time-consuming either, which is perfect - will definitely try this! Wow, yup I am totally drooling over this!! I'm nodding my head and shouting "YES!!" to the drooling question. Holy jeez, get in my belly! I may have to bake this for our lake trip this weekend. I have a feeling there would be several happy tummies! this looks heavenly. and i don't even like apple pie! This is exactly what I had in mind for dessert tonight. If only I had all the ingredients on hand. Looks amazing!! Umm... yes!!! My mouth is watering!! 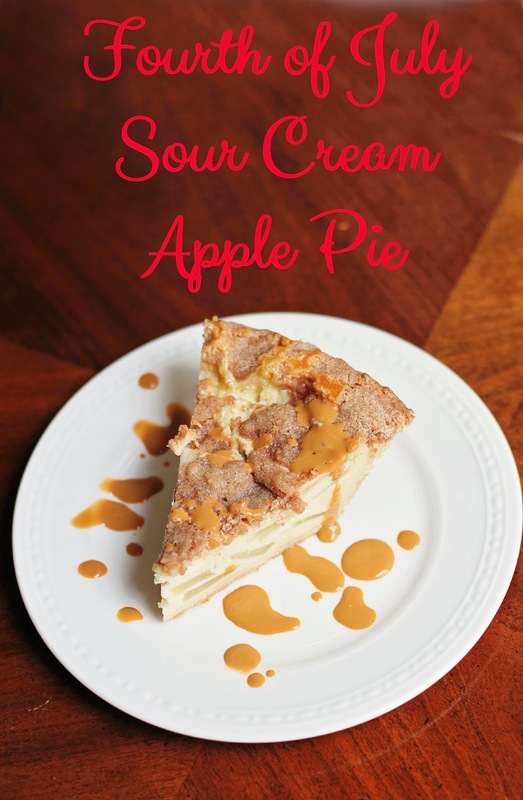 This sounds like an awesome little twist on the regular apple pie and I can't wait to try it! If only I didn't have to work tomorrow... I would be at the grocery store and baking a pie! This looks amazing!! Definitely filing this one away! Have you ever made your own pie crust - we can't go back to frozen. Martha has a great recipe.